High school seniors love their senior pictures, especially the girls and the Mothers of boys. During a senior photo shoot it’s not uncommon to have multiple changes of clothes, and many locations. How do you just chose a few to print and frame? You don’t have too. 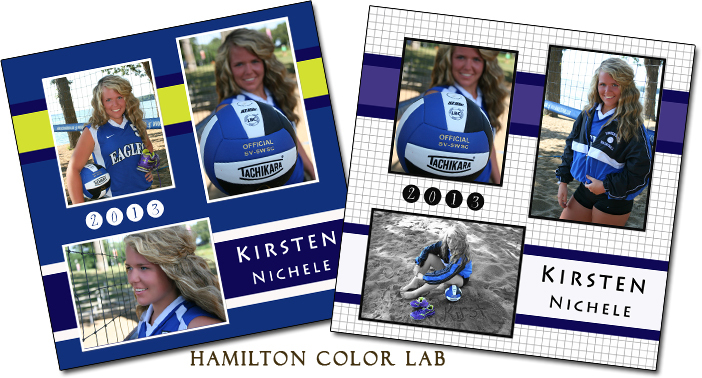 Let Hamilton Color Lab put together a senior photo collage with thirteen images on any square print. The most common frame sizes are 10×10, 12×12, and 20×20, but think contemporary with a presentation print mounted on black gator board, or a gallery wrapped canvas. Background is available in either black or white. Layout is at our discretion and we will email you a small viewable proof before printing for your approval. At that time you can request one edit. Due to the variety of size and display options pricing is done on an individual basis. This collage layout is very versatile and can be used to highlight high school memories on the edge with friends with the senior portrait in the middle, or yearly school pictures from kindergarten through high school. For the family think a first year baby picture with each month along the edge and the one year old photo in the middle. Create a theme and do this every year as a look back on your child’s life. Have an athlete in the family? Celebrate the end of the season with a football, softball, or baseball collage commemorating the season, or players. Your creativity is the only limiting factor, let us at Hamilton bring your idea to life. 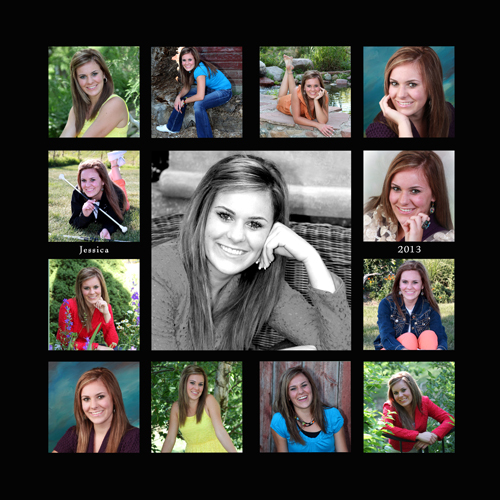 Categories: Senior Pictures | Tags: canvas background, Collage, Graphic design, Hamilton Color Lab, high school, high school memories, high school seniors, omaha, photo collage, Photo shoot, Photography, Photomontage, photoshop, senior pictures, Senior portraits | Permalink. But seriously, our product line has expanded and we gain inspiration from our customers. Kirstens’ photographer came in this week with a need. We discussed her vision and created this new volleyball product. Colors are based on the players uniform to show your school and team pride. These 10×10 prints look great mounted on black presentation board and are ready to hang on the wall. Since they are square you can order them in any size from 8×8, 12×12, 15×15 or 20×20. 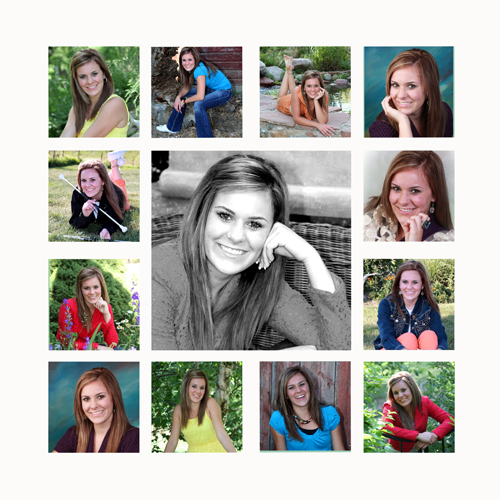 In face, a 20 x 20 canvas print would be a great addition to the graduation table at her party. So many possibilities are available, why do these need to be for seniors? Recognize and commemorate your star volleyball player for each year she plays. Hamilton Color Lab in Omaha Nebraska is your one stop for all your seniors printing needs for graduation. Categories: Senior Pictures | Tags: design, gifts, girl, graduation, Graphics, high school, omaha, Photography, photoshop, senior, Sports, Volleyball | Permalink.